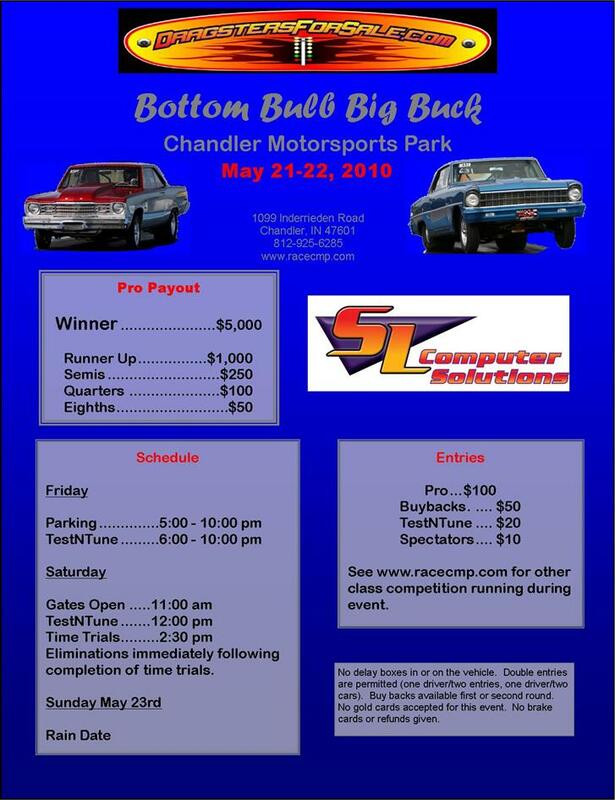 Chandler, AZ - Big Bucks comes to Chandler Motorsports Park this weekend in the form of Junior Dragster Racing. $2,000 to win on Saturday and Sunday along with a host of other races will make for a great weekend for the kids. 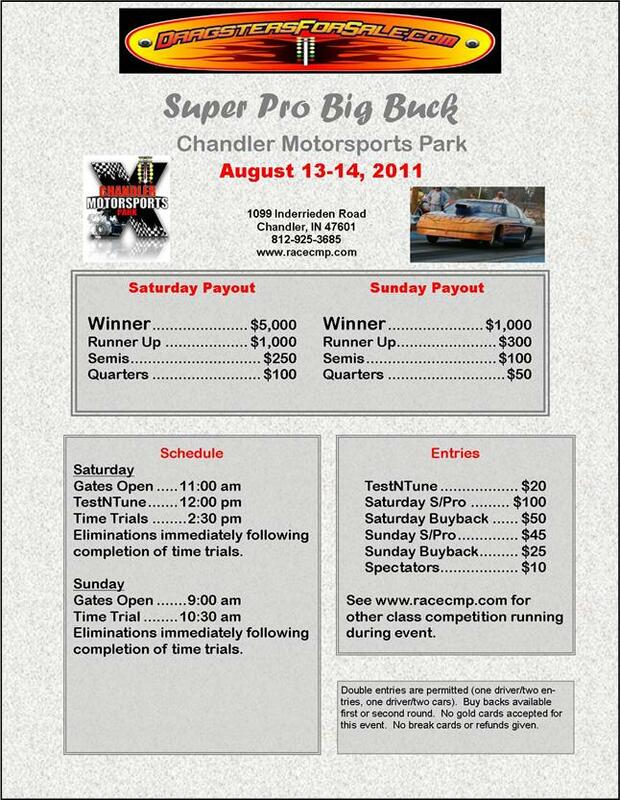 Chandler, IN - Chandler Motorsports Park and DragstersForSale.com presents their 2 day Super Pro Big Buck race this weekend. $5,000 to win on Saturday with a $1,000 to win on Sunday. Gates open at 11 am on Saturday. 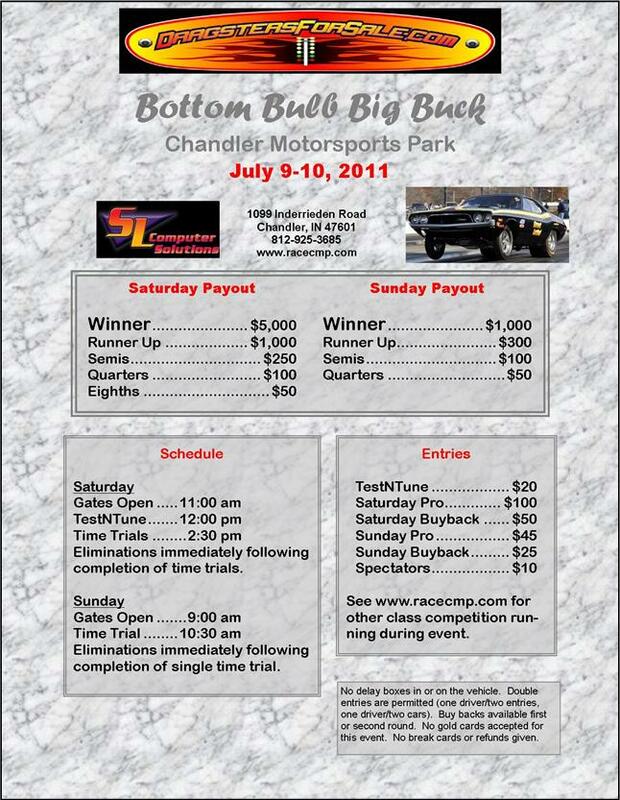 Chandler, IN - Bottom Bulb racers will be racing for $5,000 to win on Saturday and $1,000 to win on Sunday when Chandler Motorsports Park hosts their DragstersForSale.com Bottom Bulb Big Buck race this weekend. 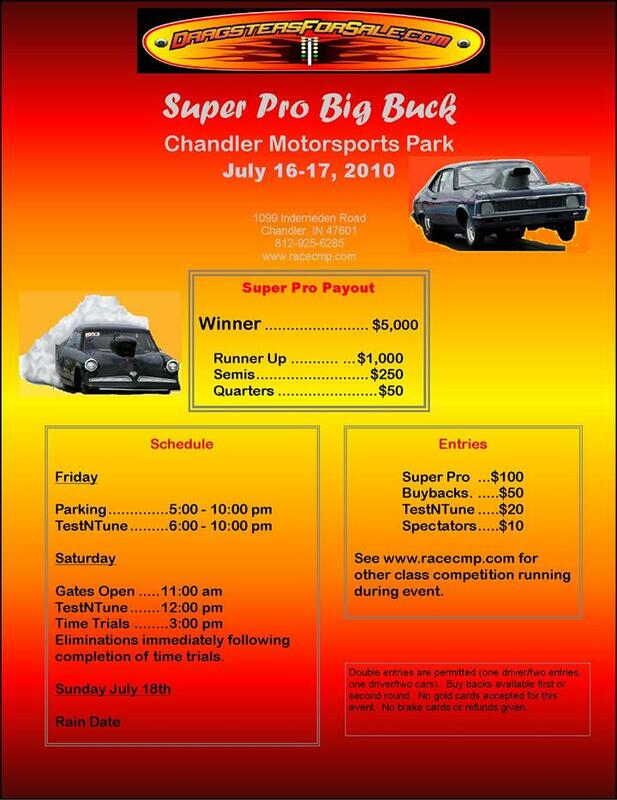 Chandler, IN - Chandler Motorsports Park will be hosting a $5,000 to win Super Pro race Saturday July 17th. A Test-n-Tune will be available Friday night also. Gates open at 11 am on Saturday and 5 pm on Friday night. Chandler, IN - No box racers from all over the Midwest flocked to Chandler Motorsports Park this past Saturday to compete for the $5000 top prize in the inaugural Dragstersforsale.com No Box Big Bucks race. 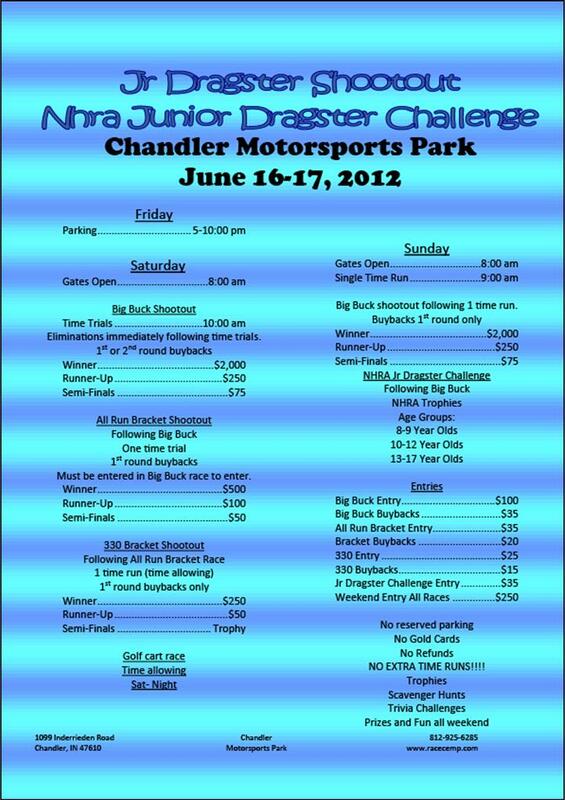 Chandler, IN - Bottom Bulb racers have a shot at $5,000 to win this weekend at Chandler Motorsports Park. Thanks to SL Computer Solutions as they came on board to increase the purse. Quarter Finals now pay $100 and $50 in the eights.